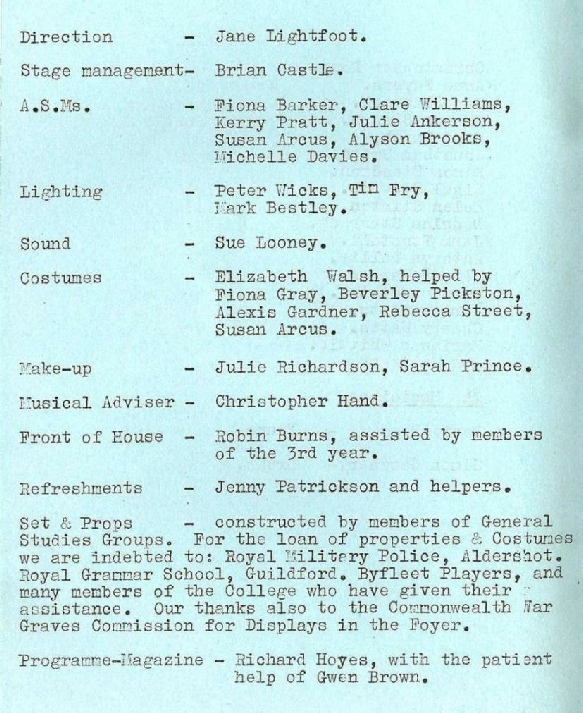 The earliest College production for which we have a programme is Charles Chilton's “Oh! 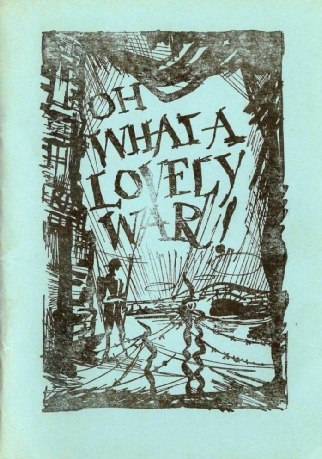 What a Lovely War” which was performed sometime in 1975. We currently have no reviews or photographs for this production. 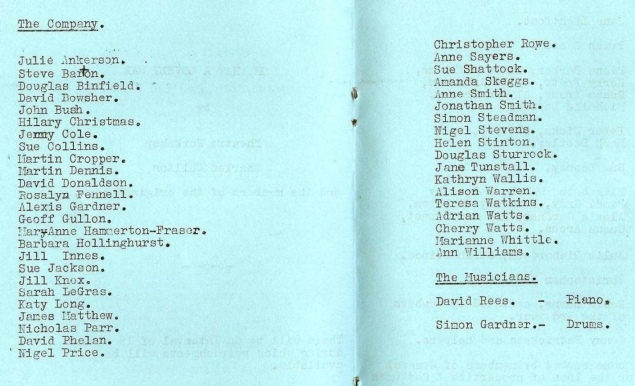 The centre-spread (shown below) has a full list of the cast; whilst page 4 (shown at bottom of page) has further credits. There was one interval of 15 minutes during the performances.